Frack. The word would be an attention grabber, even if it weren’t in the center of national debate over our country’s future. As many people have come to learn, Frack is the nickname for hydraulic fracturing. It’s a word invented by and commonly used within the petroleum industry, and it entered the vernacular of roughnecks on drilling platforms long before the process to which it refers – breaking apart underground rock formations with pressurized chemical solutions -- became a political hot button. 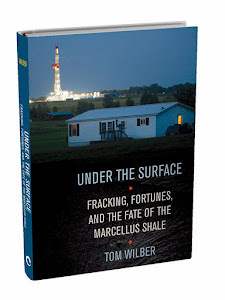 So how did Frack – a word invented by the industry -- become a weapon by industry opponents? Somewhere along the line, it became easy for protesters to seize the word’s descriptive potency for their own purposes. Still, opposition to the term within the trade does not seem to be universal. Frack is used without inhibition by regulators and trade groups, although I’ve noticed that PR firms are growing more inclined to using the formal term, or even an abbreviation FVHF (High Volume Hydraulic Fracturing). Although Frack is not considered a dirty word in most industry circles, it’s becoming so in some, and use of the term may well continue to evolve given the politically charged nature of events and the sloganeering associated with it.